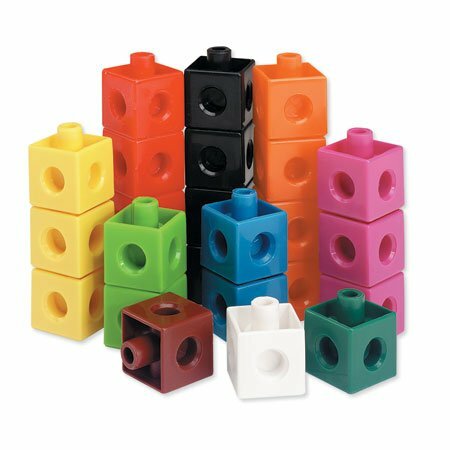 This set of 1000 plastic cubes in 10 colors connect on all six sides. Easy for little hands to connect and twist apart. Can be used in place of any .75″ cube, and fit in Unifix apparatus and materials. Each set includes a Teacher’s Guide.